The holiday season is nearly here, which means it's time to start racking your brain for the perfect gift for all of your family and friends. And with a huge range of high-tech gifts available, the pressure is on to pick the perfect present for your significant other. If you aren't sure where to start your shopping, we have great gift suggestions that will suit any taste. It's easy for anyone with a smartphone to get a snapshot these days — and some of the latest models can even capture images that can rival a high-end DSLR. So why, then, would anyone want a digital camera? For the magic of having a printed photo to share (or just enjoy yourself). Today, a new generation of Polaroid cameras offer the instant-print Polaroid experience in a new digital format. 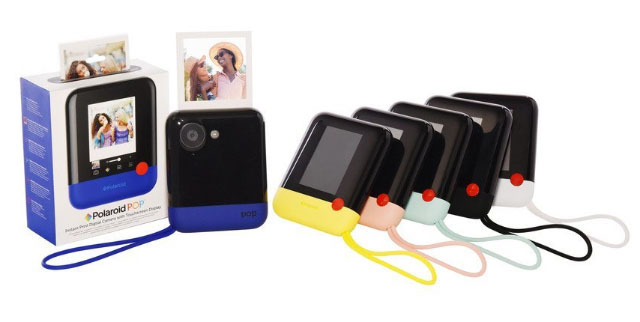 The Polaroid POP is a digital camera that captures 20MP photos (which you can easily transfer to your mobile device or computer via Wi-Fi), but can also print them instantly. The camera uses special ZINK paper to print 3.5" x 4.25" images in full color. The paper is extra durable, both water- and tear-resistant, plus it's backed with adhesive so you can stick your photos anywhere. On top of the cost of the camera (around $200, depending on which color you choose), make sure to load up on some paper. Expect to pay about $1 per sheet, in packs of 10 to 40. Since we're talking about a television, we have to start with the numbers. 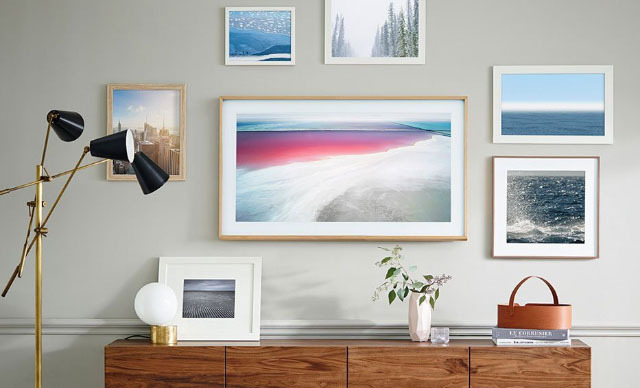 The Samsung Frame TV is a 4K UHD TV with HDR which means it can display over a billion different colors and the picture looks super sharp and vibrant, with lifelike contrast. If you're buying a TV this holiday season, these are the features to look for, and the Samsung Frame TV stands out with fantastic picture quality that will far outshine your old HDTV. But while the picture quality impresses, it's the Frame TV's other features that make it a must-have. A no-gap wall mount lets you place it flush to the wall, with only a single cord coming out of the television (connecting to an easily-hidden box where you can plug in your accessories). Without any of the usual cable clutter, the Frame TV blends seamlessly with the wall, looking more like a work of art than a bulky television screen. And "work of art" is exactly what Samsung is going for here. The TV is housed in a customizable frame, with wood, white and metal bezels that fit around the edge to make it look like a painting. And while you aren't watching television, it can display fine art, making it part of the room's décor whenever it's not in use. A high-quality screen that's also high style? That's hard to turn down. Home security is a serious concern for all of us, and now ADT and Samsung are offering a simple-setup security system with an economical professional monitoring option. Professional monitoring is lacking from most smart home security solutions, which instead rely on you to keep tabs on things via your mobile device. While this means no contracts or monthly fees, it simply doesn't have the reliability of a monitored system. The ADT Home Security Starter Kit includes a touchscreen ADT security hub, two-door and window sensors, and a motion detector, which you set up at home on your own — it's all wireless, so installation won't require any complicated carpentry. (However, if you buy it from Best Buy, the company is currently offering free Geek Squad installation, making it even easier to set up.) The hub also works as a Samsung SmartThings hub, which means you can use it to control over a hundred SmartThings compatible devices. You can add an extra layer of security with the ADT Home Safety Expansion Pack, which includes smoke, carbon monoxide, and water leak detectors to alert you to safety risks. But the important part is the ability to subscribe to 24/7 professional monitoring from ADT, ensuring your home is secure even when you aren't watching it yourself. There's a monthly subscription fee, but no long-term contracts, so you can opt out or put the service on hold at any time. Security monitoring costs $25 per month, safety monitoring (if you have the Safety Expansion Pack) is $15 per month, or you can get both for $35 per month. If you pick up the system now, monitoring is free until the end of the year. It's the gift of freedom from worries, something anyone can appreciate. While a high-end television will give you stunning visuals, the sound quality won't match. That's why a high-quality soundbar makes a perfect gift for any home theater enthusiast — especially for one who already has their dream television. When shopping for a soundbar for a true cinephile, you want Dolby Atmos, which brings three-dimensional cinema sound to your living room. The LG SJ9 Soundbar clears that hurdle, with Dolby Atmos, 24-bit lossless playback, 24-bit upsampling that can improve lower quality sound, and a 4K passthrough so it can connect to your 4K television to get audio at the best possible quality. And there are features for music lovers, too. With Chromecast built-in, you can stream music from many of your favorite services — from Spotify to Pandora — while Bluetooth lets you link it to your mobile device to stream from your smartphone. Anyone who appreciates good sound will be happy to have this soundbar in their home theater. A smart lock is a critical part of any smart home security system. 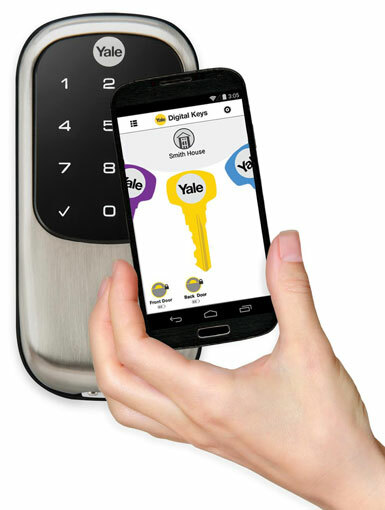 The Yale Assure Lock makes keeping track of your keys a thing of the past: to get into your home, use your voice, the Assure app or type in a keycode (you can have up to 25, or 250 if you integrate it with a compatible smart home hub). That makes getting into the house quicker and easier for you, but tougher for thieves, who are left without a lock to pick. That's right. The Yale Assure doesn't have any kind of keyhole: everything is controlled by the touchpad. And don't be intimidated by the installation process: it can be installed in minutes, and all you need is a screwdriver. 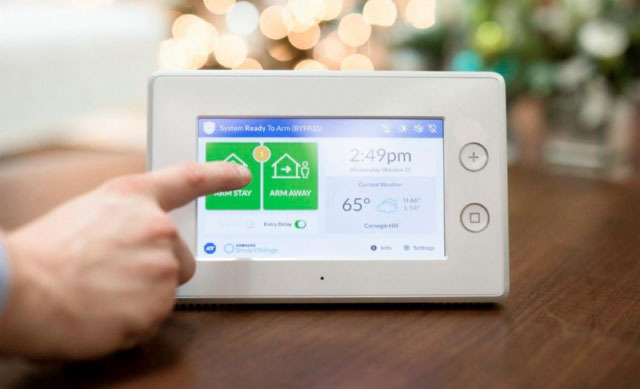 The Yale Assure can fit into a variety of different smart home setups, including Apple Homekit, as well as any that work with Z-Wave and Zigbee — which includes a lot of smart home systems, like Samsung SmartThings, Wink, Alarm.com and more. If you already have a hub for one of these systems, the lock will work seamlessly with your other smart home devices, and you can use it with the apps you're already familiar with. If not, you can add a hub to your lock for an extra $50. Amazon's Echo smart speaker is the sort of gadget you may not realize you need until you have it — but this feature-packed device can be an invaluable addition to your household. 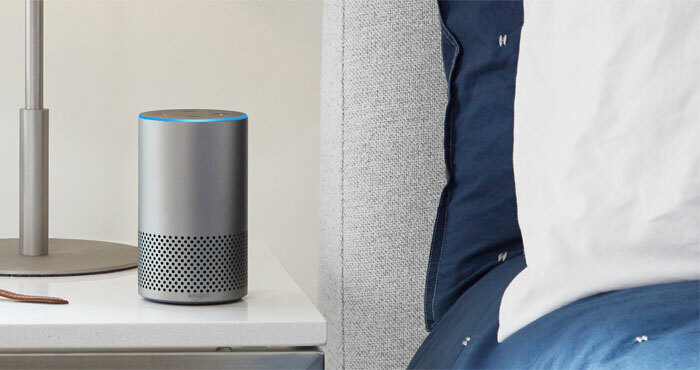 All you have to do is speak up and the Echo's built-in voice assistant, Alexa, is there to help you out. Alexa can play music, make voice calls, answer questions, order pizza, call an Uber, control your smart home devices, and much, much more. And on top of the many things Alexa can already do, Amazon is adding new features all the time, making this smart assistant smarter. The second-generation Echo is a great buy: not only does it cost $80 less than the last generation, but it also adds Dolby sound processing for better audio and an updated look to fit in more seamlessly with any décor. For $100, it's a bargain that costs less than Google Home ($130) or Apple HomePod ($350). Offering nearly the same features for a very reasonable cost, it's hard to turn down the new Echo. 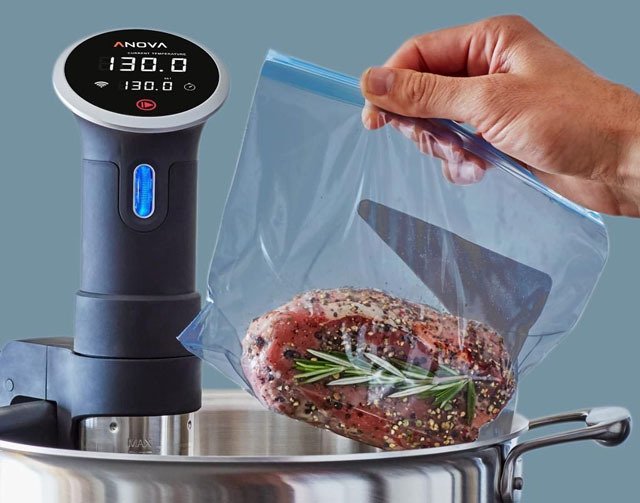 Sous Vide is a cooking method in which food is sealed in a plastic pouch, submerged in water, and then cooked to a precise temperature. When done right, this means food is perfectly cooked every time — but without a specialized gadget, it's not something you want to try at home. Enter the Anova Sous Vide Precision cooker, which heats and circulates water in any pot. All the aspiring home chef has to do is toss their ingredients in a zip-top bag, submerge it in water, and hit a few buttons for dinner to come out exactly the way you like it every time. And, of course, this gadget is connected: while you can set the time and temperature manually, the Anova Culinary app lets you pick what you want to cook on your smartphone and does all of the setup for you. It comes with Bluetooth connectivity by default, but if you spring for the Wi-Fi version, you can start, stop, or just monitor recipes-in-progress right from the smartphone app. Check out our stories 6 Time-Saving Kitchen Gadgets for Healthier Meals, 6 Must-Have Hands-Free Gadgets for Your Kitchen and 8 Easy Ways to Upgrade Your Kitchen for more options. Usually, finding a laptop that's easy to carry means making compromises: but LG's 14" Gram laptop does an amazing job of packing every important feature into this tiny gadget. A slim bezel around the screen means the Gram has a full 14" display, with a sharp Full HD IPS touchscreen, ideal for everything from playing games to watching movies. It weighs in at just over 2 pounds while maintaining a battery life of 14.5 hours — meaning it's easy to carry anywhere and keep going all day, whether you're convenient to a power outlet or not. And unlike many ultraportables, this laptop has plenty of ports, with USB-C, HDMI, USB 3.0, and even a micro SD port. Beyond portability, the LG Gram is a powerful Windows 10 machine. It comes with a 7th generation Intel Core i5 processor, 8GB of RAM, and a 256GB solid state drive. That's more than enough to handle your everyday computing tasks, and it should never feel slow. And the best part? It's priced very competitively for a laptop with such high specs. 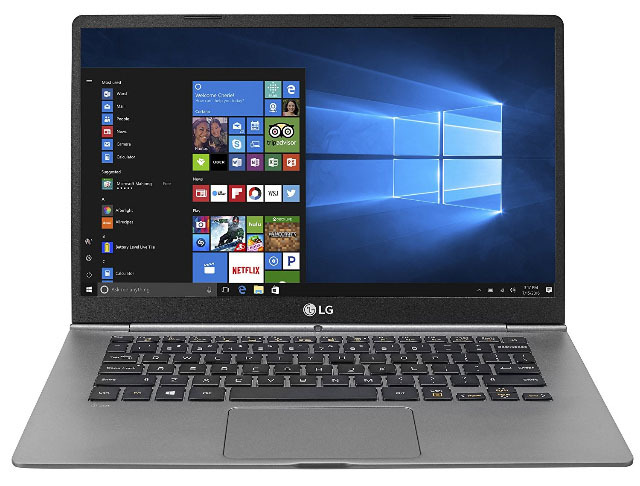 If your significant other could use a laptop upgrade, the LG Gram 14" is a great option. For less expensive options, check out our story The Best Laptops Under $500. 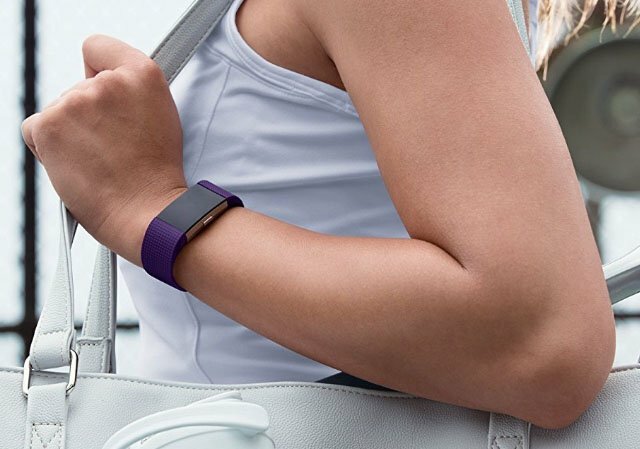 Fitbit has a wide range of fitness trackers, but the Charge 2 HR offers all of the fitness features you need while skipping the battery-life draining extras you'll find on the standard smartwatch. It's a fitness-focused gadget, collecting all of your health and fitness data: steps taken, calories burned, heart rate, and sleep. However, it can automatically track exercises like running (and has a built-in GPS to track your runs), and it can track everything from yoga to weight-lifting if you manually tell it when you're working out. And for health help beyond all of that tracking, it rates your cardio fitness levels, reminds you to move if you've been sitting too long, and walks you through customized breathing exercises based on your heart rate. And while it isn't a smartwatch, it does have some smartwatch features: notifying you of calls, texts, and calendar alerts. It's basic, but if you're shopping for someone who's more interested in fitness features, this has everything they need. While the Fitbit Charge 2 is a perfect choice for fitness fans, it won't do if you're shopping for someone who wants all of the extras a smartwatch has to offer. For a watch with classic looks — but modern smarts — we like the Samsung Gear S3 Classic. This round-faced watch looks like an ordinary, high-end wristwatch despite the fact that its face is actually an AMOLED display that lets you pick your own watch face from a wide selection. 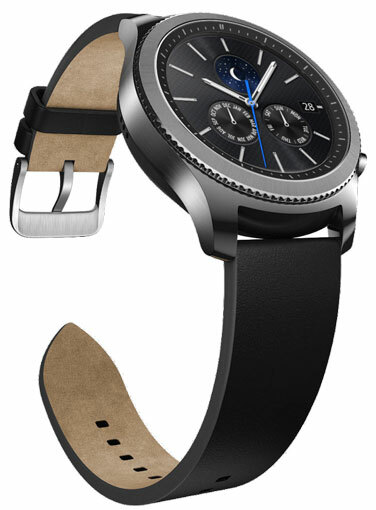 The Gear S3 does the basic notifications and fitness tracking you'll find on the Charge 2 (and many other fitness trackers). However, it can also make calls, handle hands-free requests using S Voice voice controls, store music (so you can work out to a soundtrack without carrying your phone), make payments with Samsung Pay, and run a range of apps like Uber and Spotify. It's an awesome smartwatch, and but also a solid fitness tracker, so you get the best of both worlds. And because it works for Android or iOS, it can work for anyone on your gift list — though because it's a Samsung product, it has better integration with Samsung's smartphones. For more smartwatch options, check out our story 8 Fashionable Smartwatches. 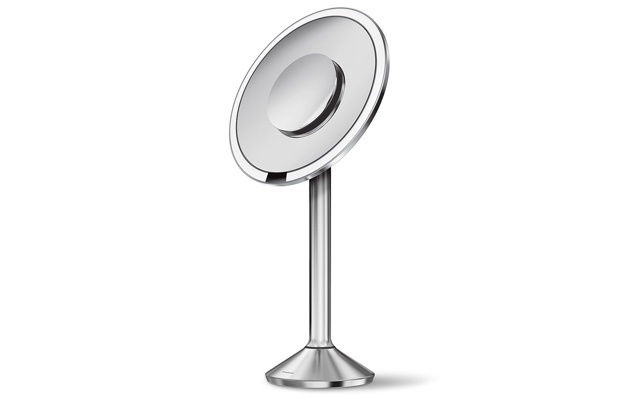 Any makeup artist knows the need for a great mirror — and Simplehuman's Sensor Mirror Pro adds a lot of smarts to the simple mirror. It's an 8" round mirror with 5x magnification with a 10x detail mirror (which attaches magnetically to the front when in use or in the back for storage) for a sharp look at your whole face. The trouble with wine is that once you open a bottle, you're committed to finishing the bottle before oxidation spoils the taste. But this is no longer the case with the Coravin Model Two Wine System. The device keeps cork of a wine bottle intact while letting you pour a glass at a time without risk. 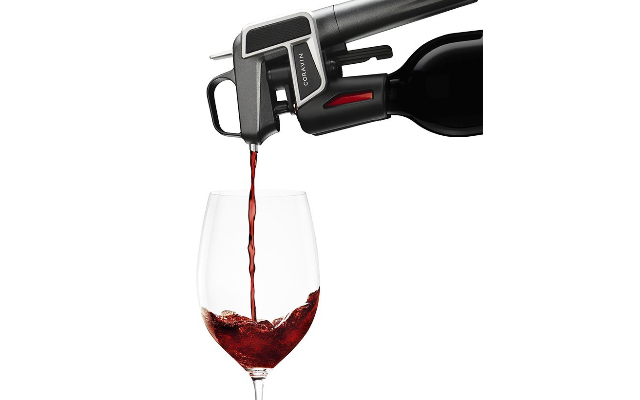 To protect the wine, the Coravin fills the wine bottle with argon gas, keeping oxygen away from what's left in the bottle. To pour a glass, you insert a long thin needle (filled with argon gas) through the cork and pressurize the bottle with argon gas to make the wine dispense. Once you've poured a glass, a traditional cork will reseal after the needle is removed, leaving you with a just-opened-bottle taste with every glass. Of course, this fancy system does require you to buy Coravin's argon capsules (currently $17.95 for a two-pack) to keep your wine fresh, but with each capsule lasting about 15 glasses, we think it's well worth it. There are a dizzying number of tablets on the market, but we're partial to the Samsung Galaxy Tab line, which provides solid Android tablets for reasonable prices. The Galaxy Tab A is a 10" tablet and you can buy it with Samsung's excellent S Pen — which makes it the perfect tablet for anyone who enjoys drawing, doodling or taking notes by hand. Samsung's software integrates nicely with the S Pen, meaning it's not just a tool you pull out when you want to draw or take notes: it's probably what you'll use to interact with the tablet all the time. A tap on the lock screen lets you jot down notes and pin notes to your screen. You can annotate images and documents with a few swipes of the pen. 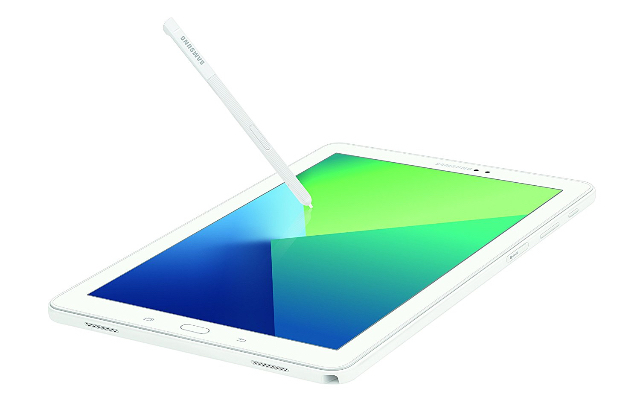 The Samsung Galaxy Tab provides all of the conveniences of a tablet — making documents and art easy to sync and share — while the S Pen provides all the conveniences of a real pen and paper. It's something anyone who yearns for the days of pen and paper — but wants the conveniences of our modern digital life — will appreciate. Looking for something a little less pricey? 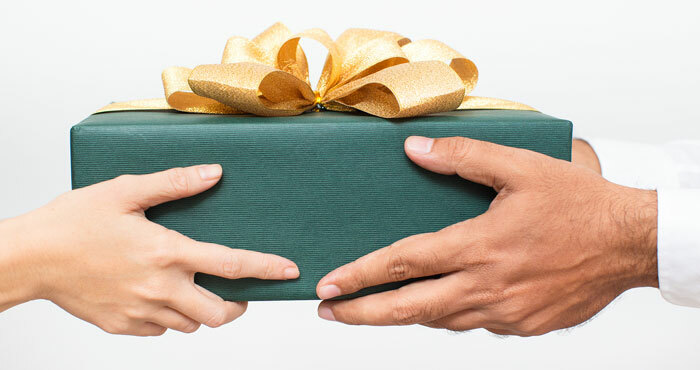 Check out our 11 Fun and Function Gift Ideas Under $50.